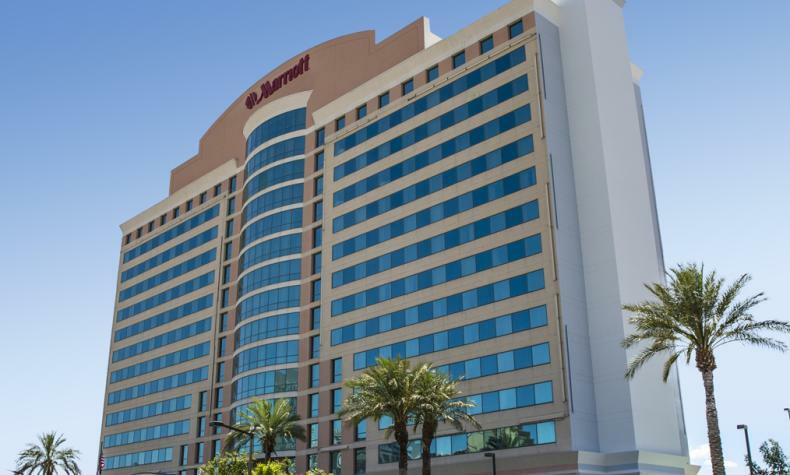 For business or pleasure, the Las Vegas Marriott will make your trip a success. Next to the Las Vegas Convention Center, all rooms have phones w/voicemail, high-speed internet, coffeemakers and tea service, hair dryers, and iron and ironing boards. Plus, refrigerators, minibars, wet bars and pull-out sofas. A business center with a copier, computer and printer. There’s also an outdoor pool, whirlpool and Cafe325. Near the Vegas monorail station, linking nine major Strip resorts.